Ancaster Horticultural Society Annual PLANT SALE! 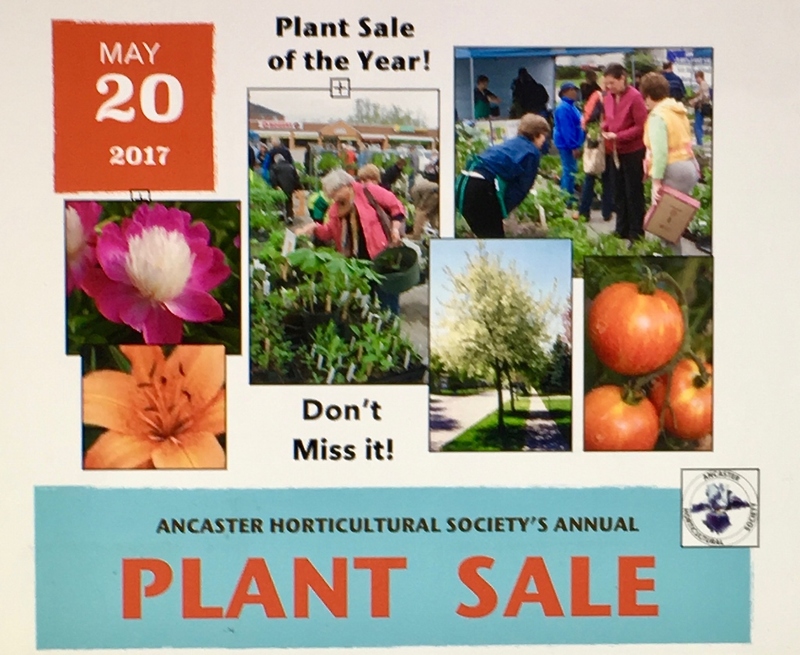 Don’t miss the Ancaster Horticultural Society’s Annual Plant Sale! This is the Society’s major fundraiser of the year and many of your favourite plants, shrubs, and small trees will be on sale. The Sale will be held on Saturday, May 20th, 2017 from 8 a.m. until 1:00 p.m. Come early to get the best selection. Location is the same as usual, the Food Basics Plaza parking lot, 71 Wilson Street West, Ancaster, ON., L9G 1N1. A variety of perennials, flowering shrubs, small trees, peonies and potted herb will be on sale. Featured this year are 400 heirloom tomato plants, a large variety of peony roots in pots and small trees for your garden. Many of the Society’s members will there to answer any of your planting questions.